​​Burnley will welcome Southampton to Turf Moor this Saturday in a must-win game for both outfits as they look to further move away from the drop zone. With both teams level on points near the edge of the table, this game is crucial for both teams as three points could move the winner seven points clear of the relegation places. Both teams will hope to keep up their individual resurgences at Turf Moor and with both outfits in good attacking form, it is sure to provide great entertainment. Robbie Brady could make his comeback against the Saints as he recovers from the groin strain injury he sustained. Aaron Lennon, Matt Lowton and Steven Defour are all still out with their respective injuries and will miss the game on Saturday. As for Southampton - Ryan Betrand, Michael Obafemi and Mario Lemina will all miss the game despite returning to training this week. Striker Charlie Austin is set to undergo a late fitness test and Maya Yoshida is still on international duty at the Asian Cup. ​Southampton ​McCarthy; Brednarek, Stephens, Vestergaard; Valery,Hojbjerg, Romeu, Prowse, Targett; Redmond, Ings. Burnley and Southampton have come up against each other on 57 separate occasions with Burnley just edging it with 21 wins, while the Saints have 20 wins with a total of 16 games ending in stalemate. Their most recent encounter ended in a 0-0 stalemate on the 12th August 2018 in a game where the goalkeepers were the stars of the show. Burnley fans and certainly their manager Sean Dyche will feel that they should have ended Manchester United's seven-game winning streak on Tuesday night as the Clarets found themselves 2-0 up with ten minutes to go, but ended up drawing the game 2-2 in somewhat sloppy fashion. Burnley have only lost one of their last five matches so they should be in good spirits for the game. Southampton have looked in good form since their new boss arrived and they've got an unbeaten run of six games to show for it. Big wins against Everton and Leicester would have done their confidence no harm as they look to avoid a relegation battle. They earned a 1-1 draw against a gutsy Palace side in Wednesday night's fixture. There has been a lot of change for both clubs since their last meeting, it is difficult to see the game ending with a similar outcome. 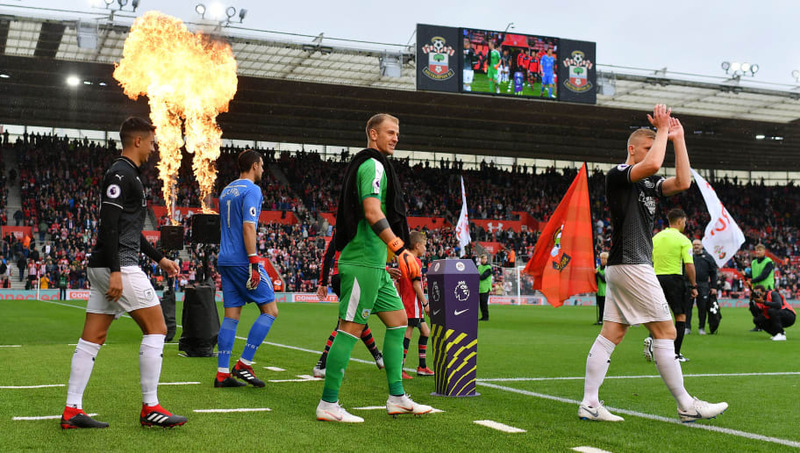 Southampton look much improved since the appointment of Ralph Hasenhuttl who has given them the spark they needed to get going this season. Sean Dyche has too managed to turn things around at Turf Moor and has seen the club improve immensely over the last few matches.